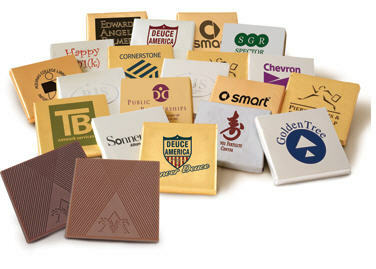 Our Deluxe Chocolate Square make a delicious gift for your clients and guests. Each of these Belgian chocolate squares measures 1.75”. Get them wrapped in foil that comes imprinted in 1-color with your special message or logo. We also offer 2-color imprinting. Call us for details.